centerfield maz: Say It Ain't So, Doc! 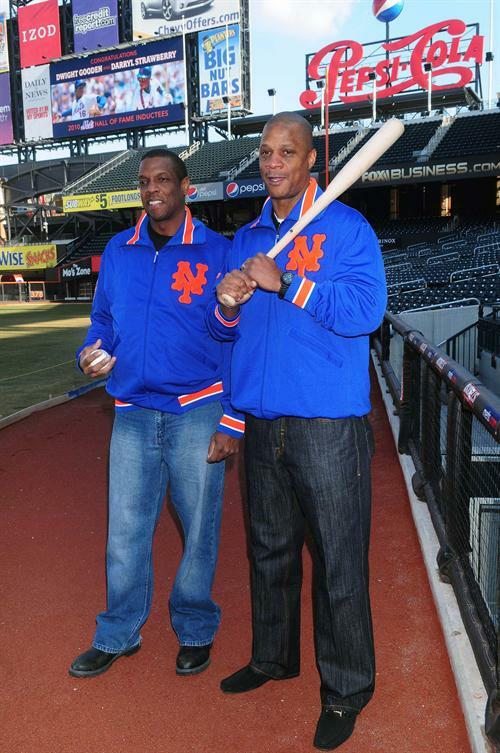 As we all know Dwight Gooden was picked up the other morning in Franklin Lakes, New Jersey after fleeing the scene of an accident. Franklin Lakes is an exclusive North Jersey town also home to Phil Simms, Willie Randolph, Sam Huff & other notables. Gooden, (45)was charged with driving while under the influence of drugs, endangering the welfare of a child, leaving the scene, and DWI with a child passenger (his five year old son). It’s just a shame. I am not going to beat him up here like everyone else seems to want to do. It’s just a shame that he cant overcome his demons. For two seasons he was the best pitcher I ever saw on a day to day basis besides Tom Seaver. There was nothing like Doc in his prime, that rising fastball that would just blow hitters away. He brought the Mets back to the top after some pretty bad years. I was the same age as him, when he came up, and a life long Met fan, was happy to get back out to the excitement of Shea. Again, there was nothing like Dr. K in h is prime. I was at his one hitter, his 16 K performance, his 20th win, his rookie K record setting game, his 1st HR, his playoff duel with Nolan Ryan, his 100th victory & so many others. He broke our hearts when he had to go to rehab in 1987 and again as his career fell off. He still had some great years even though he didn’t make the Hall of Fame & be all we dreamed he’d be. After some bitter years, all was forgiven when he came out for the Last day at Shea. I was there then too, & thought his return was one of the most emotional. I had the pleasure to meet him last year & had the chance to tell him thanks, for doing what he did in 1984 & 1985. He thanked me you could see he appreciated it very much. He wrote on my autograph, “Be Cool” …… I wish him the best. 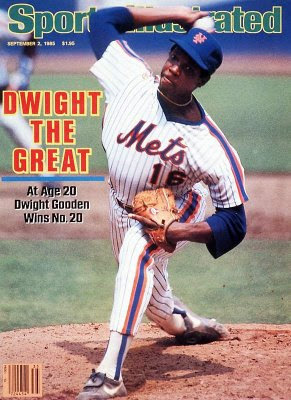 Let’s remember all the good he did for us on the mound in “the good old days”! !